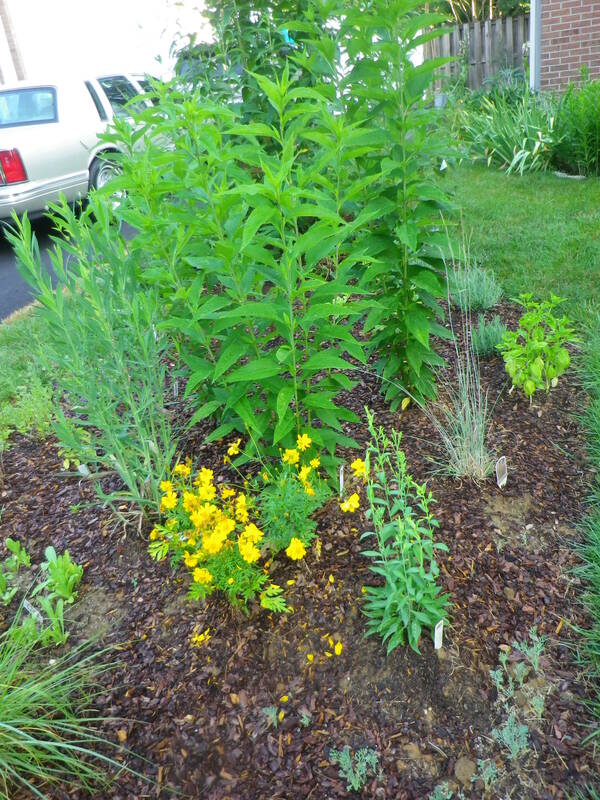 The new bed was so full of promise – and it still is, if I can figure out how to stake the helenium. The idea behind this was that I’d have lots of tall, sun-loving, drought-tolerant plants that would screen the neighbors’ driveway and give me lots of late summer color. 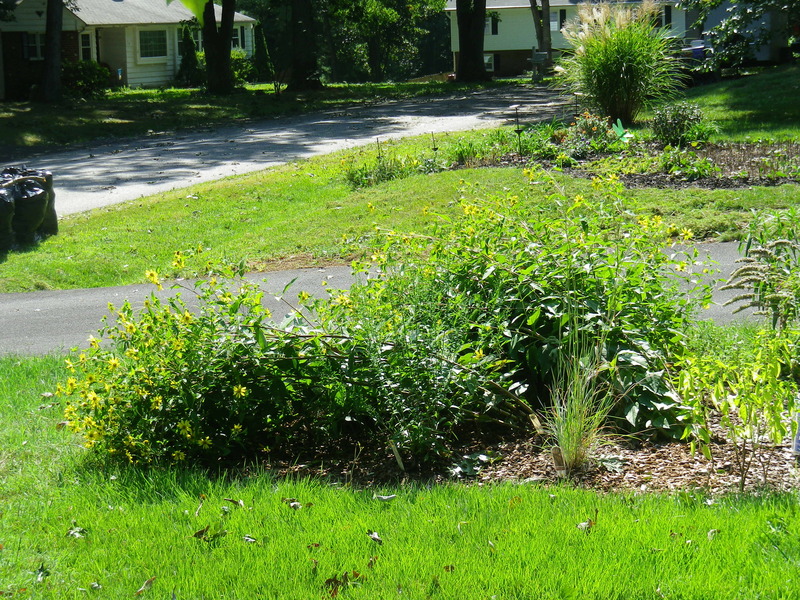 It’s working, sort of, except that a storm a month ago or so caused the helenium to lean over. Despite my best efforts with bamboo stakes, it started leaning even more. In preparation for Irene, I removed the stakes, fearing that they would become spears slicing through the air and impaling innocents. 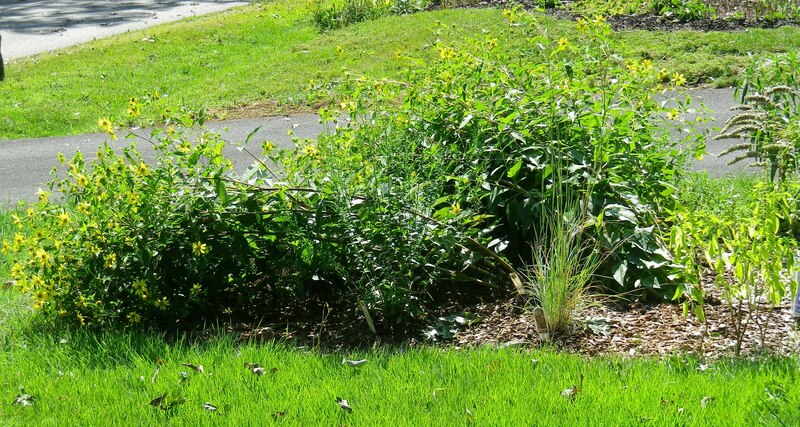 Instead, all that happened is that the heleniums are now nestled down close to the ground, smothering the miscanthus, calendulas and boltonia. I think the only solution is some rebar stakes. The damn plant is so heavy that I don’t think anything else will work. 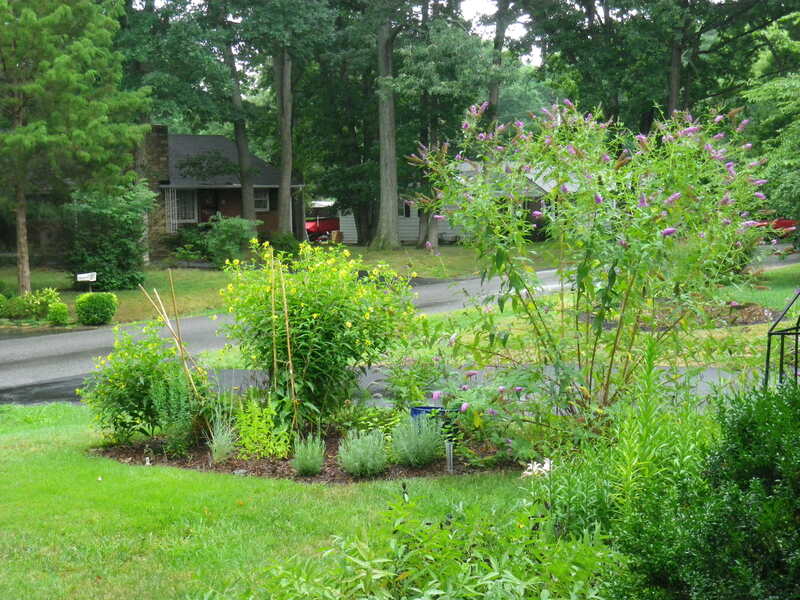 So here it is in June, with the calendulas blooming brightly in front. By early August, it was beginning to lean. You can see the stakes that were no match for the weight of the plants. And now, after the hurricane, it’s just ridiculous. It’s at least a two-man job to right the plants and tie it to stakes so strong that they will prevail against the mighty stems. I do feel better to discover that I’m not the only one with helenium problems. This gardener suggests cutting them back in midsummer, but of course part of the joy is having really tall plants, so I’m not sure that’s the solution. He also had a terrible time staking, and I must say his stakes are even more pathetic than mine. One of his commenters who mentions this specific variety (‘Lemon Queen’) is going to try putting them in a cage next year. Another good suggestion. 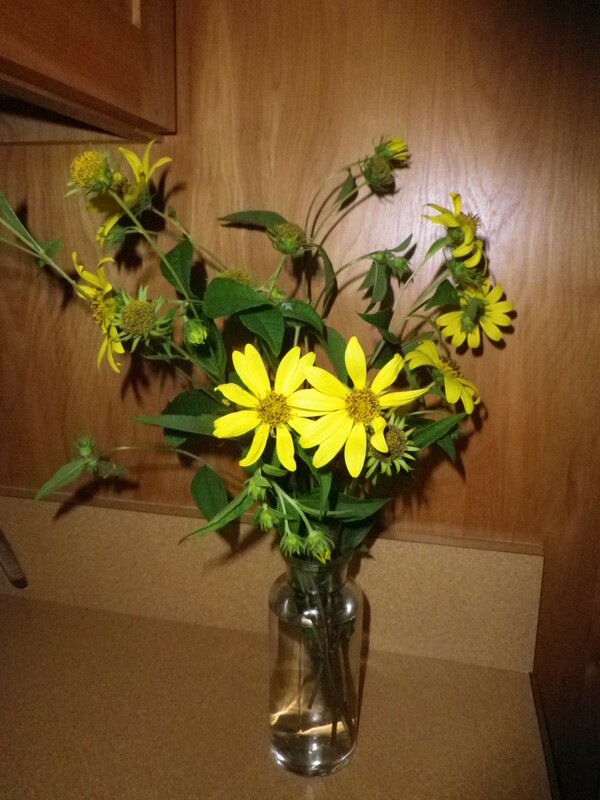 The bees and butterflies love this plant, and it makes a nice bouquet for the house, so I won’t give up!